First RP speaker for New Horizon! Joel Beeke has called this the most important book he’s ever written. It’s also not quite the book you might expect – in terms of page count it’s more church history / historical theology (254 pages) than homiletical instruction (165 pages). As a lover of historical theology I enjoy that aspect of it, but others might not. While the majority of the historical content deals with how those of the past (Reformers, Puritans, Dutch Reformed and a few more recent) preached and wrote about preaching, some of it leaves you scratching your head as to its relevance to the book’s topic – eg much of the chapter on Calvin, or the section where he summarises Richard Rogers’s book on the Christian life and private means of grace. This is perhaps due to the fact that various sections of the book have previously appeared in other books and articles – it’s not all written from scratch with an emphasis on preaching. 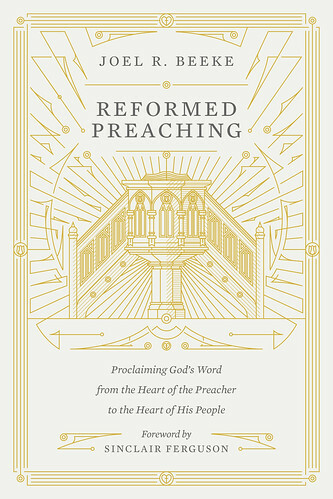 Beeke says that he would have preferred to call the book Reformed ‘Experiential’ Preaching. And though the word experiential was dropped for the sake of simplicity, he does spend a fair amount of time defending not just the concepts behind ‘experiential’ and ‘experimental’, but the words themselves. In a similar vein, while unsurprising, it’s a pity to see a modern book from the publishers of the ESV using the archaic KJV. Some parts of the book also seem overly prescriptive. For example ‘The Christian life…continues and deepens with…reading published sermons’. At times you wonder if the emphasis on piety drifts into pietism. (In fact, Beeke speaks positively of ‘pietistic and mystical tendencies’, even though one of the endorsements says the book tries to separate experiential preaching from pietism and mysticism). Overall though, this is a great resource. At the risk of being simplistic, American Reformed Christianity particularly needs reminded that ‘too often preaching aims at educating big brains while neglecting withered hearts’ while British Reformed Christianity particularly needs reminded that our forefathers ‘had a profound sense that God builds his church primarily by the instrument of preaching’. Thanks to Crossway for a complimentary copy of this book through their Beyond the Page review programme. “Ye observe days, and months, and times, and years. I am afraid of you, lest I have bestowed upon you labor in vain.” — Galatians 4:10, 11. “Doran’s Minister’s Manual” enumer­ates over 30 special or holy days that are regularly observed by Catholics, Episcopal­ians and some Lutherans. In addition to listing these the book provides materials for sermons or addresses for twenty special days, which are the following: New Year’s Day, Lincoln’s Birthday, Every Member Canvass Day, Washington’s Birthday, Palm Sunday, Easter, Memorial Day, Ascension Day, Children’s Day, Whitsunday, School Commencement, Missionary Day, Independ­ence Day, Labor Day, Reformation Sunday, International Temperance Sunday, Thanks­ giving Day, Christmas, Old Year’s Day, Armistice Day. To these we might add others that are coming to be commonly observed, such as Mother’s Day, Father’s Day, Red Cross Day, Go-to-Church Day, etc. One organization after another comes forward calling for a special day or week to be devoted to its in­ terests. When we once begin to add other special days to God’s Holy Sabbath day, we start on a long, long trail, and no one can tell -where the end will be. No carol service – are we missing a trick? “Put on a good carol service (especially if you have a picturesque church building), and they will come. Put on a Christingle or a nativity service (particularly in the late-afternoon Christmas Eve slot, when every parent in the land needs a break), and they will come. 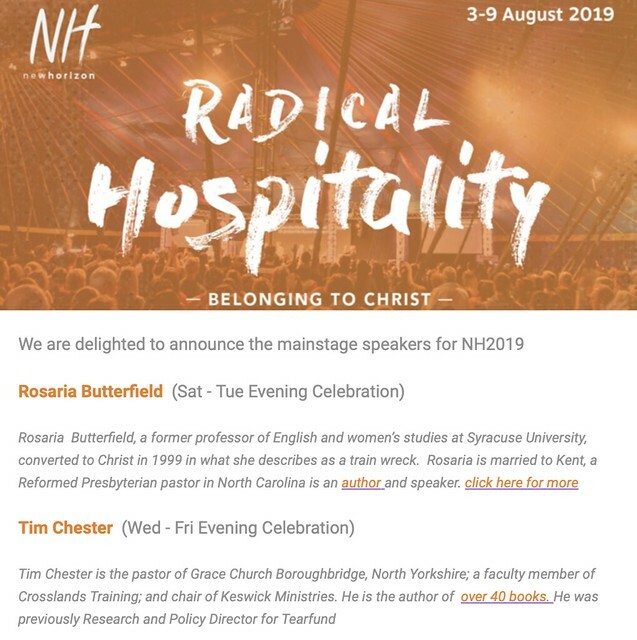 Invite your neighbours and friends to such events, and they may well come—and they will certainly not think it weird to be asked. And so, lo! The churches of the United Kingdom (especially those with previously mentioned picturesque buildings) did discover that a great multitude didst come and hear the gospel in December, and they felt good, and rested upon their laurels/door wreaths. Two programs I wish I’d known about years ago! We interrupt our regularly scheduled programming to recommend two invaluable utilities – youtube-dl (a youtube downloader) and ffmpeg (a file converter). Their functionality can be achieved in other ways, but I have used numerous youtube downloaders and file converters (both for myself and for family members) over the years as they tend to get closed down / taken over by spyware. These are super fast utilities which run from the command line. I’m running them on a mac but they both have windows versions. As Casey Liss mentions in the posts below, the command line is a bit scary, but these were fairly straightforward to install.